5) Conan The Destroyer – the sequel to the classic 1982 film Conan The Barberian is every bit as awful as the first one was awesome. Solid performances and brutal fight scenes are replaced with bad acting, bad special effects (seriously bad) and Grace Jones as a co-star. I’ve never actually been able to make it through the entire film, and I’m guessing Arnold won’t be able to either. 4) End of Days – this 1999 film was a huge let down for me. I love apocalyptic movies and I love movies with the Devil as a main character, but End of Days managed to dissapoint upon release. It’s not all Schwarzenneger’s fault, though I do have trouble buying into his character of Jericho Cane. The guy is supposed to be suicidal following the deaths of his family, but for a guy wanting to give it all up, he’s in remarkable shape. However, Gabriel Byrne doesn’t ever get a chance to let loose as Satan and I found Robin Tunney as the girl in distress hugely obnoxious. Throw in a cheeseball ending and you’ve got one of the big man’s biggest missteps. 3) The Last Action Hero – a metafiction disaster of legendary proportions, this 1993 film had minimal action and a whole lot of boring. It also tanked large at the box office when it was released one week after a little movie called Jurrasic Park hit theatres. The best thing about this one – the AC/DC song Big Gun (I can still play the riff today). 2) Hercules In New York – I openly admit to never having seen this one, but since Arnie admits regretting being in the film, this definitely makes the list. 1) Batman and Robin – the worst Batman film of all time also happens to simply be one of the worst films of all time. 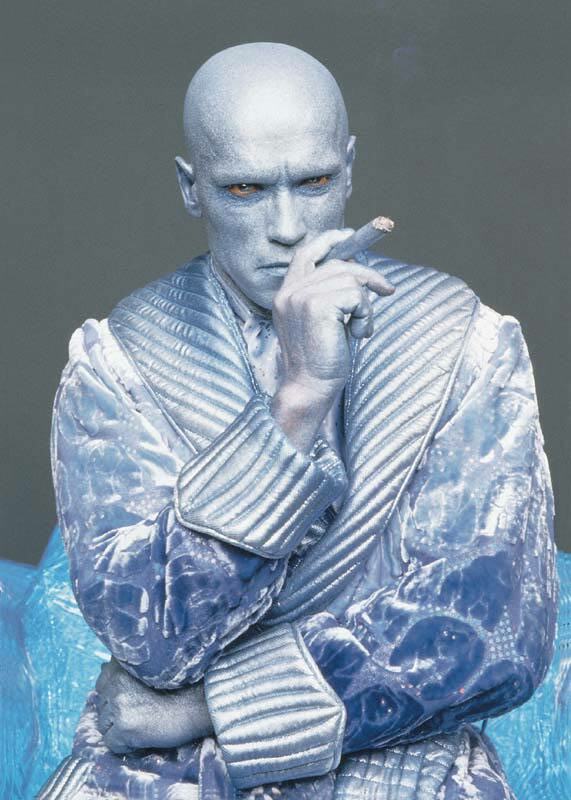 A horrible script from future Oscar winner Akiva Goldsman, abysmal directing from glorified hack Joel Schumacher and hands down atrocious performances from villains Uma Thurman as Poison Ivy and Arnold as Mister Freeze (“chill”…). I remember going to a midnight screening of this one after a long day and band practice and sitting there with my friend, both of us shaking out heads and walking out two hours later in disbelief. Apart from George Clooney, who does a decent job as Bruce Wayne with the tripe he has to work with, Batman and Robin is the definition of disaster. Maria, if you want to make Arnold suffer, strap him down and have him watch this one over and over.